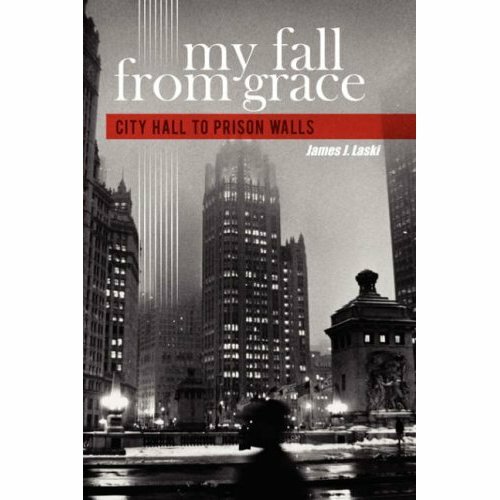 Please purchase the book here: http://www.amazon.com/gp/product/1434362809/ref=cm_rdp_product I hope all Chicago Taxpayers can forgive James Laski. In the Chicago Sun-Times story, James Laski said he was getting his morning coffee and saw the headlines “PAID TO DO NOTHING”., the story of the Mayor Daley’s “Hired Truck Scandal”. That Headline was organized by Patrick McDonough, Mark Brown, and Tim Novak. I am the Whistleblower referred to as “Deep Water”. Again, I am proud of my part in this major story. I actually set up that day that exploded the scandal. That day, the workers on that jobsite were later subject to punishment by the Chicago Water Department Management. Did you know the workers were never allowed a legal appeal? I hope those in the North District leadership know they have just been included in new lawsuits and investigations. Some of these men might lose their pensions after working for the Department of Water management over thirty years. Buy this book. Patrick McDonough. Older two door Olds spying on you. Right now. What goes around comea around and you willbe the subject of legal action as well. You wont be able to hide from this one or claim you are being pick on. You go get them a**hole’s, I am very PROUD of you Pat!! when these no good son’s of B***H’s get thrown in Jail and lose their pensions!! Can not wait until you call me for my deposition about all the CORRUPTION going on in the NORTH DISTRICT, and then on to TRIAL !!!!!!!!! Well Pat I have already been threatened with bodily harm, even DEATH I did report it to the city and no one has called me back as of yet. I also called the I.G but as you know they did nothing too. So Pat if something happens to me before trial you know who was behind it. I already told you what I know, so go after these people. For $48,000 in bribes, former Chicago City Clerk James Laski ended up in prison, the highest-ranking official caught in the federal government’s investigation of the city’s Hired Truck Program. His downfall traces to 1994. That’s when Laski helped his close friend Mick Jones get work from the Hired Truck Program to supplement the paycheck Jones got as a city housing inspector. Jones eventually admitted paying bribes for Laski’s help — an admission that sent them both to prison and ended their friendship. Jones got out last summer. Laski was released this month, after 11 months in prison and six months more in a halfway house. At . . . the beginning of 2004, a story broke in the Sun-Times that would change my life forever. . . . I decided to go to a 7-Eleven, as I usually did in the morning, to pick up a large coffee for [his wife] Kathleen and a Sun-Times. . . . When I picked up the paper from the rack, I immediately saw the words “Hired Truck Program,” which caught my attention. As I read the story, I experienced a burning and nauseous feeling [in] my stomach. What I always feared in the back of my mind was now actually happening — someone was looking into the city’s Hired Truck Program’s operations. Not only was there a media inquiry, but information was leaking out about preferential treatment, politics and bribes. I quickly headed home, where I dropped off the coffee to Kathleen. I told her I had to stop at the law office . . . but what I really did was get into my car and call Mick Jones. . . .
We spoke basically in general terms, except when the name Angelo Torres, the director of the entire program, came up. For whatever reason, Torres wasn’t being kind to Get Plowed, Inc., the company that Mick and his wife Traci owned with their friends John and Mary Novak. Because one has to know some basic facts about the city’s trucking operations to understand why the Sun-Times was turning up the heat, we must first go back to late 1994. I was campaigning for city clerk at that time . . . Mick asked me for a favor. He told me that the city had a Hired Truck Program that employed private trucking companies to work for various city departments. . . . As I began to learn, the whole truck program was a gravy train for these companies, and Mick wanted to hop on. Let’s say the city paid a company $40 per hour for its truck and driver for a day. That company was paid regardless if the crew worked or not. . . . It wasn’t long after the trucks were on, maybe a month or so, that Mick stopped by the house one evening. . . . Before too long, he leaned over to shake my hand, and said, “Take care of the family.” As I extended my hand and we shook, I knew, though we never spoke about it in any detail, he had just handed me money — how much, I didn’t know. As soon as we transferred the money, I quickly put it in my pocket. During the course of the evening, Mick used my bathroom, and I went into my pocket and counted five $100 bills. I knew at this point that we were starting a wonderful, but illegal, business relationship, because this was technically bribery, but I told myself the money wasn’t for me, but for my family, my loved ones. There were also times when Torres’ people did inspections and found that certain paperwork, such as insurance certificates for Mick’s trucks, were not in place, and suspended his trucks. When these shutdowns would occur, I would ask Daley’s people to call Torres and to order him to put the trucks back on the payroll. . . .
Let’s look again at the Hired Truck Program and Daley’s people who granted my requests: Pat Huels, Victor Reyes and Robert Sorich. During an 11-year period, each of them helped me, in one way or another to put my friends’ trucks on with the city. These same people talked to Daley on a regular basis, and not one of them ever told him they were doing favors for me, the city clerk, by giving out business contracts to my friends? Mick and I hoped that the story would just go away, but two weeks after the first Hired Truck article had appeared in the Sun-Times, new trouble erupted. I decided to make a pit stop at Ray Drish’s house to talk about politics, fund-raising and employment issues. Ray was still my number one adviser, even though he was no longer on the city payroll. About 10 minutes into our conversation, my cell phone rang. On the other end was Joe Panarese, my new chief of staff . . . Joe [now a Cook County judge] immediately cut to the chase and told me that a Sun-Times reporter called, asking me to speak about Mick and Traci Jones and Get Plowed, Inc. Unfortunately, my political campaign had recently received a recent donation from Get Plowed. In addition, these checks were signed by Traci, even though she was supposed to have been off the books, and working for me, for several months . . . In addition, Mick had allegedly divested himself of any ownership or monetary interest in Get Plowed, yet the company’s business address in the phone book was 5711 S. Sayre, which was, in fact, the Jones family’s home address. I left City Hall around three in the afternoon and told Tom Lally to drive me straight to Mick’s house. . . . As I entered the house, I could immediately see that Mick was worried. . . .
As we sat on the couch, just trying to stay calm, I glanced out the front window and saw two individuals, one with a camera, walking toward the front of the house. I quickly dove on the floor to avoid being seen, and Mick ran to the kitchen. I still had on my full-length overcoat as I crawled out the front room into the kitchen. Mick and I quickly moved toward the back of the house, to get out of sight. Mick then called his wife, to tell her not to come home until he had called to give her the OK . . . The door bell rang, and I could see panic in his face. We knew it was a Sun-Times reporter. . . . We decided to sit in the back bedroom and wait to see how long they would camp out. As the rest of the year 2004 moved quickly by, Mick and I constantly reassured each other that everything was going to be fine. With so many other investigations going on in the city, unless there were some informant in our inner circle with some solid information, there was no way the U.S. Attorney could ever indict either Mick or me on just speculation or hearsay. In September , each time Mick said he had an upcoming meeting with his attorney, we would talk in my garage. I actually would turn my stereo radio up quite loudly and pat him around his waist and chest, which really insulted him. When he was in my garage one last time, he angrily told me that he was going to drop his pants, so that I could check . . . for a wire. I guess I should have listened to him. There was a short moment of silence before Mick replied, “I heard that, too.” . . . What I didn’t know was that Mick and I had just talked together for the final time! Assistant U.S. Attorney Patrick Collins opened the door and invited us in. . . . My knees were shaking, and my hands were dripping with perspiration. . . . There was a small table, with the morning edition of the Chicago Sun-Times on top. The headlines read, “Laski Friend Wore a Wire.” . . . I started looking at the various paraphernalia. Every single tape had been labeled with a different informational heading, such as “Laski and Jones” and “Gammicchia.” . . . I then started examining the copies of the pictures. I saw myself sitting in my basement on the day I came home from the hospital after my tests, with a blanket pulled up to my chin. During that time, and with my children around, either Mick or Traci had brought some type of hidden camera (probably in that big purse of Traci’s) to take pictures of me. . . . The last tape he played, and the most damaging of all, was that portion of my conversation with Mick on the two-way, when I was recorded as saying, “Go Cubs!” According to the feds, that was the go-ahead for Mick to instruct his wife to lie to the grand jury. . . .
Mr. Collins . . . told me that I was now under arrest. . . . He said he was not out to crucify me, but that I needed to cooperate with them. . . . I looked across the table at Collins and, with my voice cracking, told him that I would cooperate. With that, she broke down, and began to cry. She asked what she and the kids would do without me. The night before the hearing, I was extremely anxious because I knew I would have to face Judge [Charles] Norgle and answer some questions he would ask me after I entered my guilty plea. Of course, the only way, I felt, to handle my anxiety was to drink. . . .
After I entered the guilty plea, Judge Norgle asked me if I had made my decision freely, and without duress, if I had discussed the matter with my attorney, and if I understood that I had just pled guilty to one count of bribery. He also asked me, if, within the last twenty-four hours, I had taken any alcohol or drugs. I answered yes. He then wanted to know what I had taken, and how much. I answered, about four beers up until 11 p.m., and one Lorezopan and Lexapro that morning, for my anxiety. . . .
Before the proceedings ended, Judge Norgle asked me when I had resigned as Chicago clerk. I told him February 6, 2006. He then asked me if I thought I had done a good job as city clerk. pat you were against laski all along now that he needs money and is turning RAT you look on him as a hero. he is part of the problem not the solution. dont fall for his BS. he will most certainly try to run for an office soon. maybe 11th ward republican commiteeman. any jackass could win that race. (Response) Laski can sleep well at night. He managed to admit he made a mistake. I wish him well after a fall from grace. I am going to have him on my t.v. show. Frank Avila will host. Patrick McDonough.